I have always loved trying out new recipes.Cooking is so much like an amalgamation of science and art. 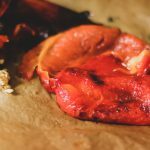 You experiment, with new recipes, new ingredients, and don’t know if the results are going to be a pleasant surprise, or a complete disaster. Besides cooking, reading has always been my passion, and these days somehow, I’m quite getting into cookbooks. I have bought a few cookbooks recently. 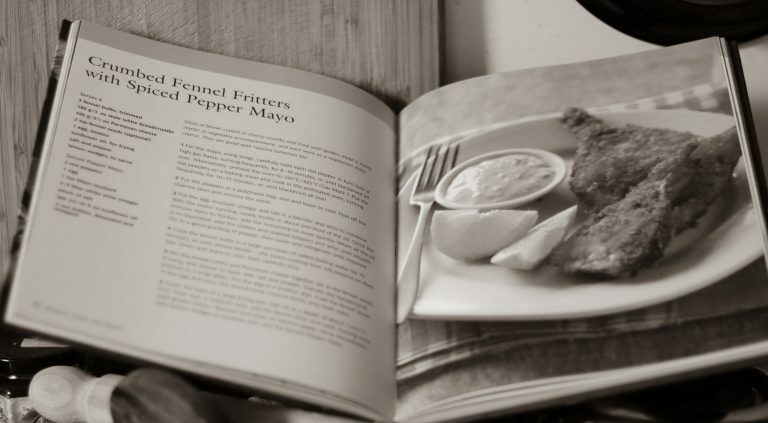 One of the cookbooks “From farm to table cookbook” has really nice, seasonal recipes, highlighting the importance of eating seasonal and local produce.One such recipe, that looked quite interesting was the Crumbed fennel fritters. 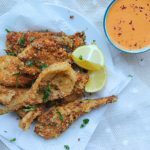 I have tried all sorts of fritters, but this was something I had never tried, and the recipe looked really simple, and delicious.More than the fritters, I wanted to try out the dip-“spiced pepper mayo”. I had all the ingredients for this recipe , except for eggs, and the original recipe called for eggs- both in the fritters, and in the dip. I soooo wanted to try this recipe, that I altered and replaced the original ingredients , but to my surprise the result was ‘fantastic’, and an added advantage -this became an ‘eggless’ recipe.I wouldn’t say ‘vegan’, because I used cheese for the fritters, and crème fraîche for the dip, but I will be giving you options to make the fritters vegan, in the below sections. For the pepper dip you would need-Red peppers, garlic clove ,Crème fraîche (or hung curd) ,dijon mustard, white wine vinegar, salt,red chillies (deseeded and chopped). 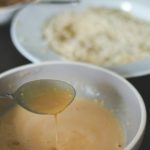 The original recipe required using egg, to make this dip, but I did not have egg, so I used crème fraîche, and this dip turned out really yum.Another option is, you can use hung curd , if Crème fraîche is not available. 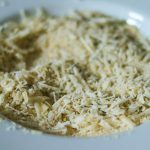 If you want the dip to be really creamy ( basically a mayonnaise), use 1 egg and 3/4 cup EVOO instead.The method to make the dip with egg is explained below and in my recipe notes as well. 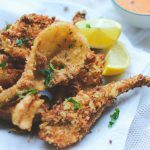 For the fritters you would need– Fennel bulbs, Breadcrumbs (vegan- use semolina),Parmesan cheese (vegan- use nutritional yeast), Fennel seeds (saunf),Chickpea flour/besan (if you prefer you can use egg), oil for frying, salt , pepper and cayenne pepper, lemon wedges to serve, parsley or coriander to garnish. The original recipe required egg, but I have used chickpea flour instead.If you want to use egg and not chickpea flour, just replace the chickpea flour paste with a beaten egg, rest remains same. 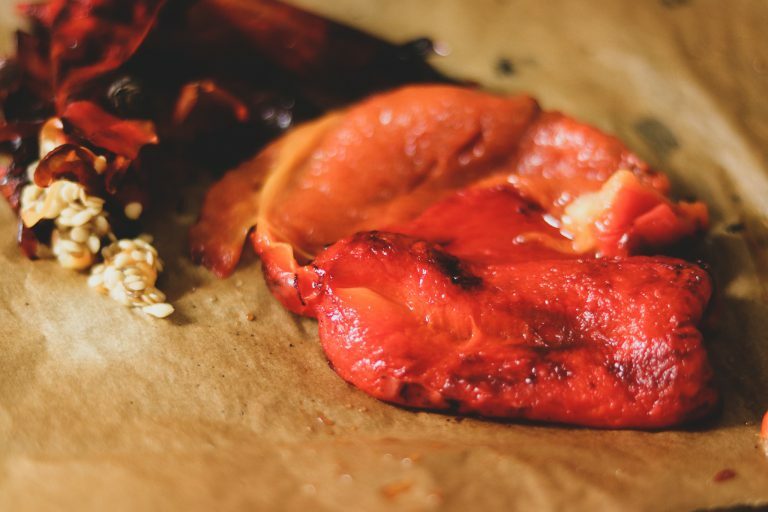 Carefully roast the red pepper on a high flame, till it is charred all over, the outer skin will turn black.It will take 5-7 minutes.Alternatively , preheat the oven @220 degrees C, rub a little oil on peppers, put on a baking sheet and keep in the oven for about 15-18 minutes till the outer skin is black. Take it out, wrap in a baking sheet, and let it cool.Once cool, peel the skin, deseed, and use for the dip. Whip together crème fraîche (or hung curd), dijon mustard, vinegar, salt. 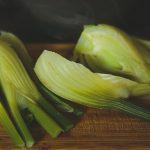 Once these are mixed well, in a blender add this mixture, add the roasted red peppers, a clove of garlic, chopped and deseeded red chillies, and blitz until all is smooth. Add chilli flakes , and keep aside . Your dip is ready. 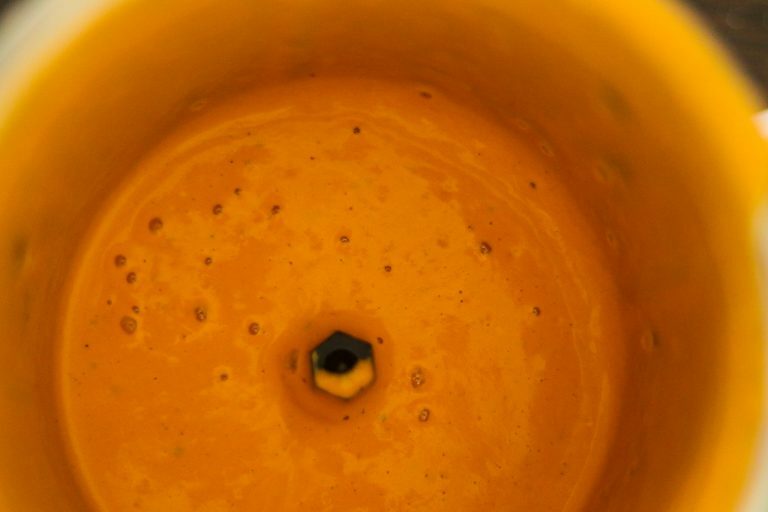 Once you have roasted the pepper, In a blender take an egg, mustard, vinegar, and salt.Blitz to combine everything. Now with blender running , slowly trickle about 1/3 of oil. 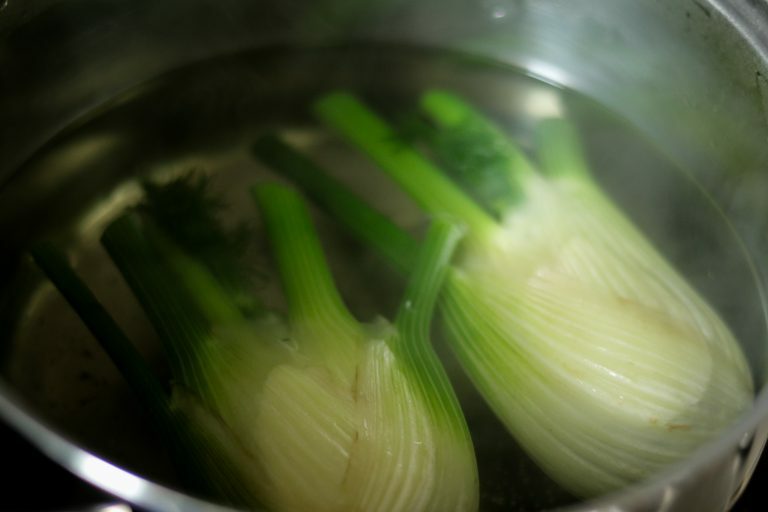 Once the mixture starts to thicken, add remaining oil. When all the oil is blended well, and your mayo is ready, add the roasted peppers, chillies, and blend again until a smooth , creamy dip is ready. In a large pan, add enough water, and little salt. 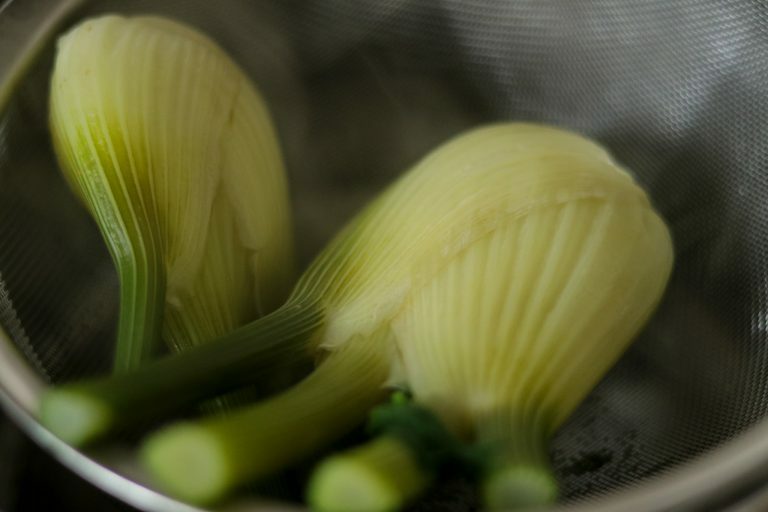 Add whole fennel bulbs, and boil for 12-15 minutes, till the fennel bulbs start getting tender. 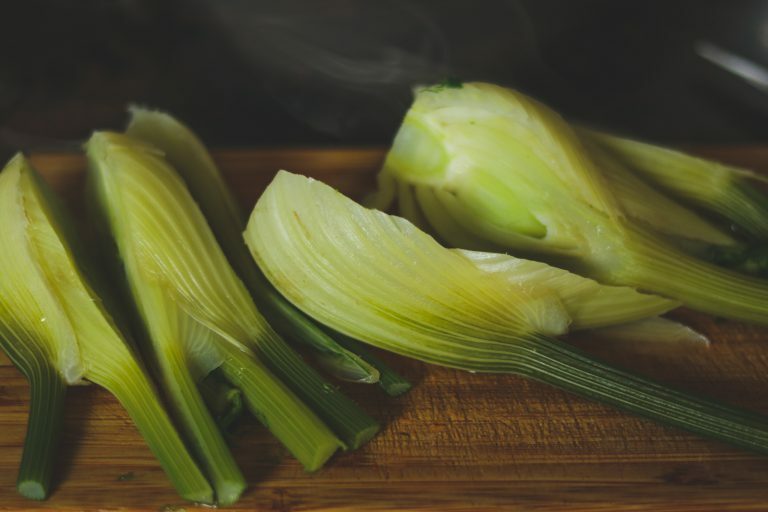 Drain the water, cool, and carefully slice the Fennel bulbs.Do not slice them too thin, otherwise they will start falling apart. 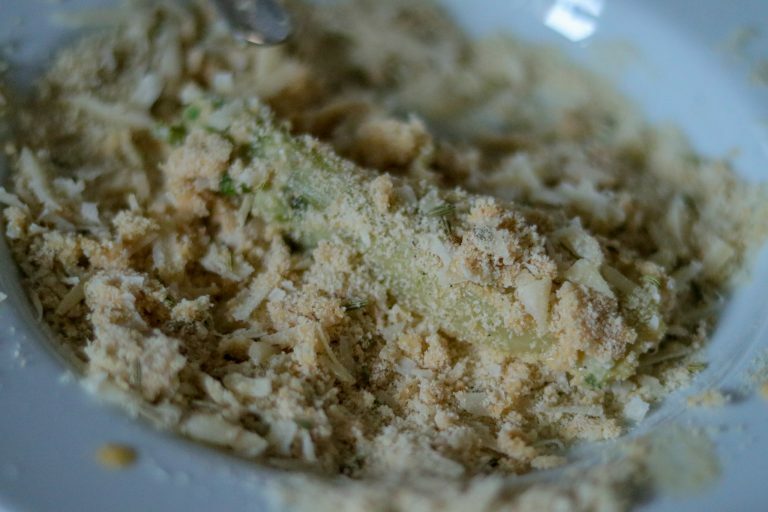 In a bowl, make a paste of chickpea flour (besan) and water . Add a little salt, and cayenne pepper. 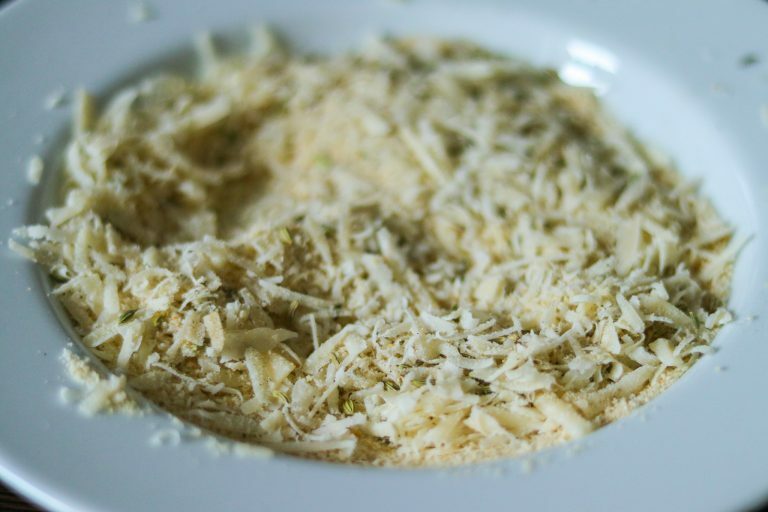 In another bowl- Mix bread crumbs, grated parmesan, salt, pepper and fennel seeds. Alternatively to make the vegan fritters– Mix semolina, nutritional yeast, salt, pepper and fennel seeds. 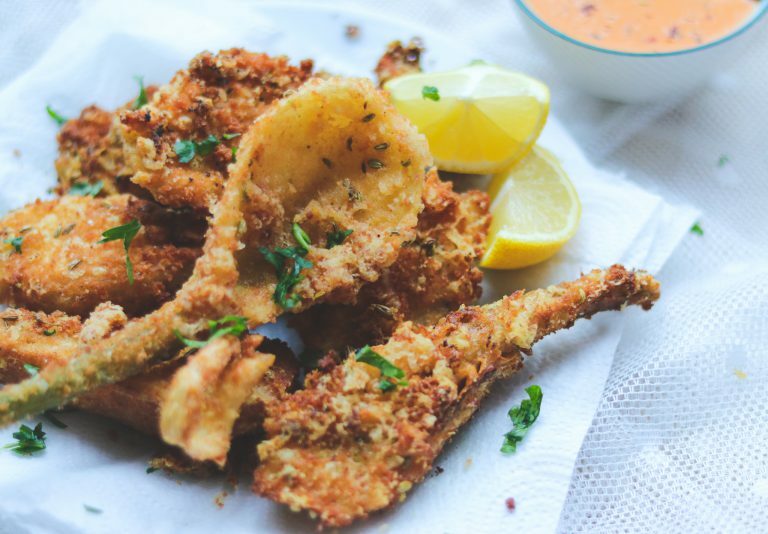 Now dip the slices in Chickpea flour paste, coat it in breadcrumbs /cheese mix, and shallow fry in oil, turning once, to make sure both sides are cooked nicely.You can deep fry as well. To serve, squeeze lemon on the fritters and serve with the hot pepper dip. Other snack recipes are here-roasted foxnuts, taro root salad. 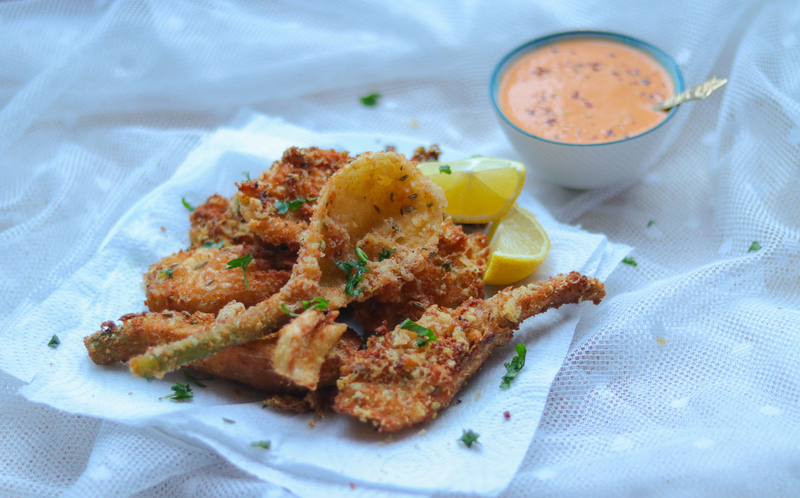 Fennel slices coated in crispy crumbs and parmesan, with a creamy roasted pepper dip. 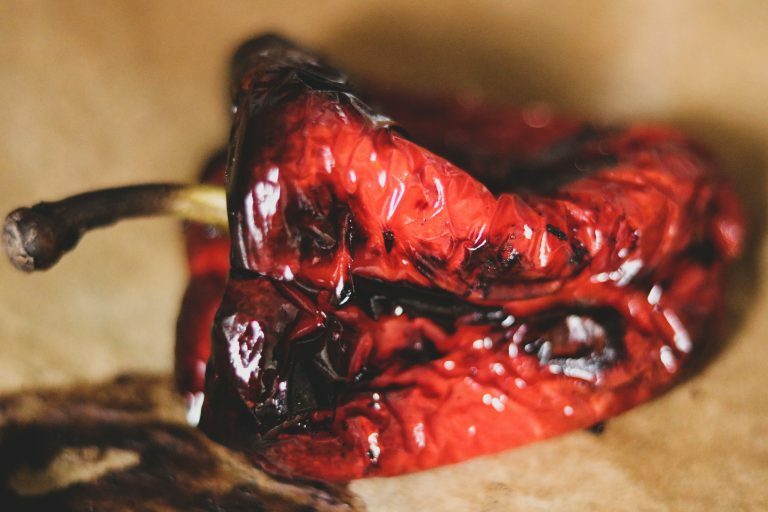 Carefully roast the red pepper on a high flame for 5-7 mins, till it is charred all over (it should not burn), the outer skin will turn black . 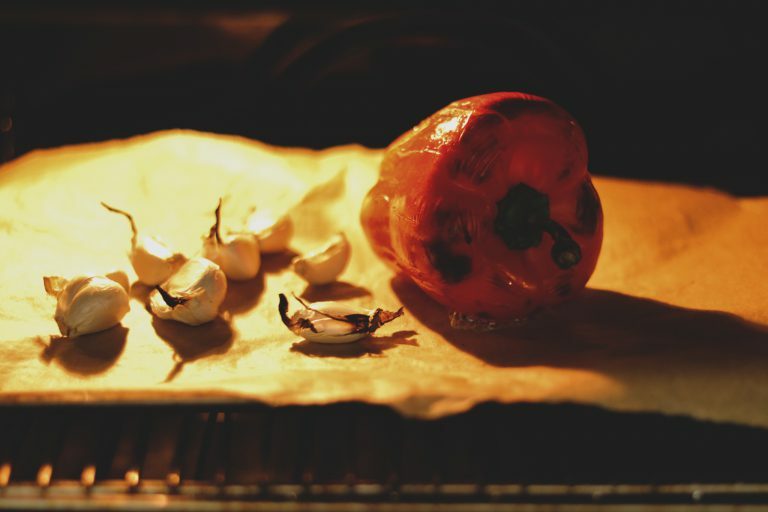 Alternatively, preheat the oven @220 degrees C, rub a little oil on peppers, put on a baking sheet and keep in the oven for about 15-18 minutes till the outer skin is black. 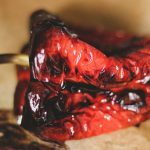 Once the pepper is roasted , wrap in a baking sheet, and let it cool.Once cool, peel the skin, deseed, and use for the dip. 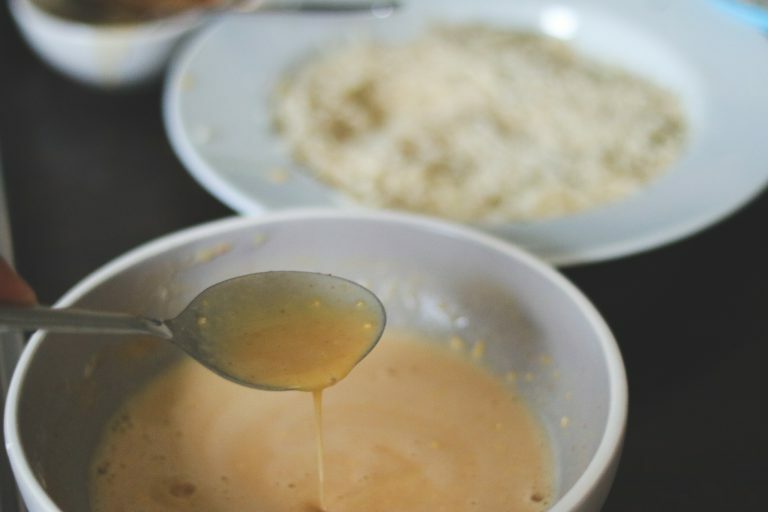 Whip together, crème fraîche (or hung curd), dijon mustard, vinegar, salt. In a blender add this mixture, add the roasted red peppers, a clove of garlic, chopped and deseeded red chillies, and blitz until all is smooth. Add chilli flakes , and keep aside . Your dip is ready. In a large pan, add enough water, and little salt. 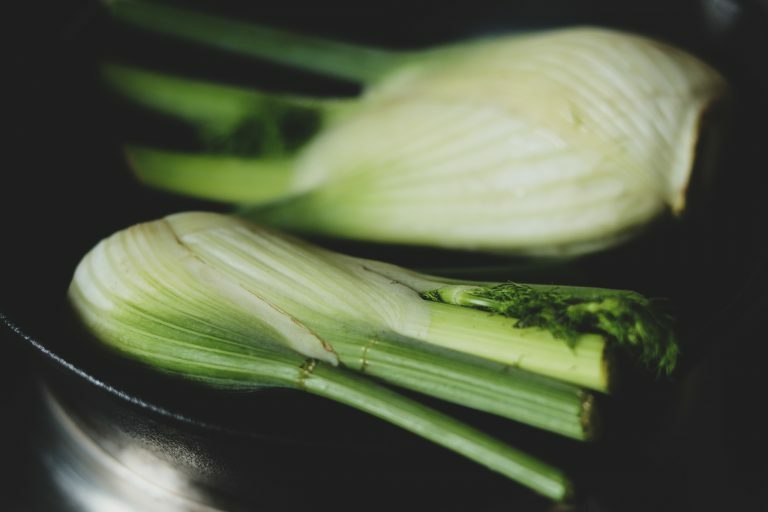 Add whole fennel bulbs, and boil for 12-15 minutes, till the fennel bulbs start getting tender.Drain the water, cool, and carefully slice the Fennel bulbs.Do not slice them too thin, otherwise they will start falling apart. Dip the slices first in Chickpea flour paste, then coat these in breadcrumbs /cheese mix, and shallow fry in oil, turning once, to make sure both sides are cooked nicely. To serve, squeeze lemon on the fritters, sprinkle parsley/ coriander and serve with the hot pepper dip. 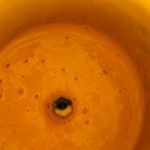 Once you have roasted the pepper, In a blender take an egg, mustard, vinegar, and salt.Blitz to combine everything. Now with blender running on low , slowly trickle about 1/3 of oil. Once the mixture starts to thicken, add remaining oil. 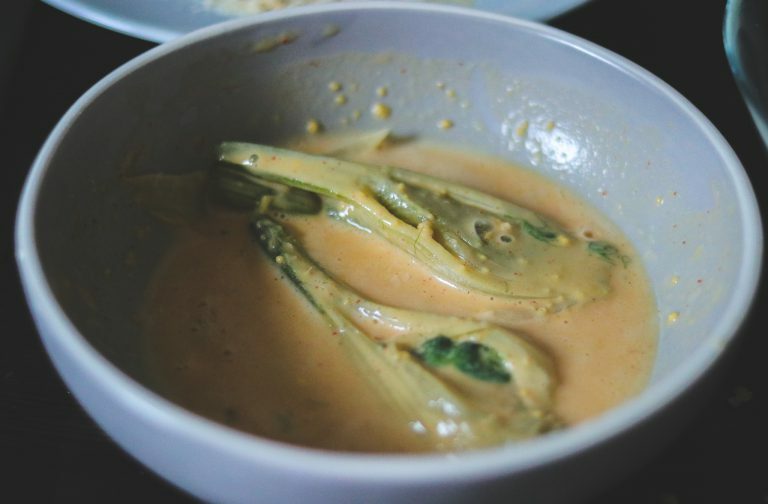 When all the oil is blended well, and your mayo is thick, add the roasted peppers, chillies, and blend again until a smooth , creamy dip is ready. 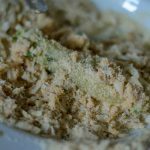 To make the vegan fritters- For coating, instead of bread crumbs and parmesan, mix semolina, nutritional yeast, salt, pepper and fennel seeds.